WET Bounce House Combo - "Marble Side Slide"
Here comes the fun! This is our Marble Side Slide combo, great for all parties and events to entertain the kids and to provide a bouncing good time! Our side slide option is great for smaller areas looking for the combo bouncer with a slide. 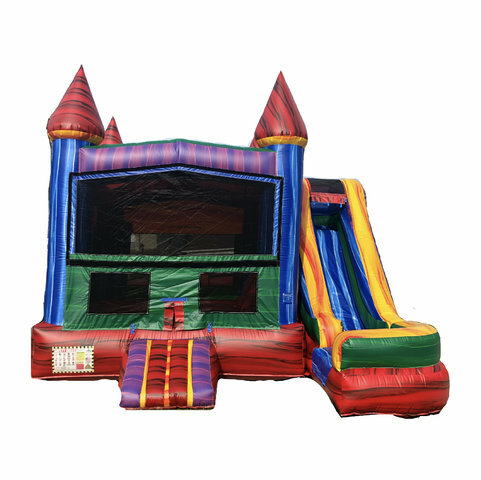 This slide is taller than our other combos but also a little bit thinner, great for backyard parties, festivals, spring flings and much more. Whether you are located in Winter Garden, Windermere, Clermont or surrounding areas we would be delighted to bring our Marble Side Slide combo to your event!